With indigenous roots in the mountains of Puerto Rico, Dr. Ana María Tekina-eirú Maynard is a proud blood descendant of the Tainos of Boriken. 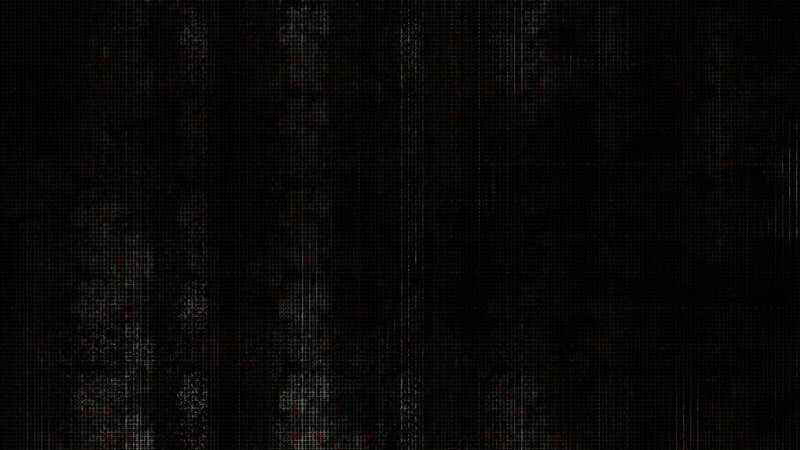 Her family line dates back to the Arcaicos (Ancient Ones), the Island's earliest inhabitants. Tekina-eirú continues the mission of her family by serving her community. She has dedicated her life to preserving and transmitting Puerto Rico's cultural traditions to the new generation. She is a historical and cultural researcher, playwright, choreographer, teacher and multi-disciplinary performer of Puerto Rico's traditional music and dance. Beyond her cultural mission, Dr. Maynard is a Master Certified Spiritual Life Coach and a credentialed Associate Certified Coach (ACC) by the International Coach Federation. As an innovator (11 patents) holding a doctorate in Electrical and Computer Engineering from Carnegie Mellon, her combined skill-set is unique in the Southwest. Dr. Maynard is the Founding Executive and Artistic Director of the Puerto Rican Cultural Center, founded in 1997 as a nonprofit 501(c)(3). It is the only cultural center in Texas and the Southwest affiliated with the Institute of Puerto Rican Culture for the offering of authentic, high-quality cultural programming. As the visionary since the cultural center's inception, her Executive duties span every responsibility required by a nonprofit Senior Executive. She is the Founding Artistic Director of PRFDance's cultural arts programs and performing company of dancers and musicians. Since 2001, achievement and quality has been validated by repeat support by the National Endowment for the Arts, including an NEA Chairman's Award (2007), the Texas Commission on the Arts, the City of Austin through the Cultural Arts Division, and Humanities Texas, the state affiliate of the National Endowment for the Humanities (since 2011), and Bloomberg Philanthropies (2018). Born into a musical family, Tekina-eirú was raised in a Puerto Rican neighborhood in the suburbs of La Isla (The Bronx). Surrounded by elders nostalgic for home, Puerto Rican music and dance were always a vibrant and active part of Tekina-eirú's life. From weddings to impromptu gatherings, she looked forward to family and friends bringing guitars, congas, guiros, and maracas, and dancing to the rhythms of Puerto Rico all night long. As a young child, Tekina-eirú enjoyed playing percussion on "latas de galletas" (tins of Export Soda crackers) to the sounds of latin albums she would buy with her own allowance. As an adult, Tekina-eirú was inspired to bring her rich culture to life in Austin Texas so her baby son could know the joy of her childhood. Dr. Maynard is an expert resource on the Mainland for Puerto Rico's cultural history and heritage. Since 1998 she has been trained in oral history and ancestral traditions by patriarchs of Puerto Rico's heritage based in native Taino, Spanish, and West African roots. Each year she returns to La Isla for research and mentoring from elders and generous Puerto Rican masters with whom she has co-directed and shared the stage including (+ means ongoing): Modesto Cepeda (1998+), Joaquin Nieves Caldero, Director of Guateque Ballet Folklorico de Puerto Rico (1999+), Tata Cepeda (1999+), Raul de la Paz (2001+) Eric Gonzalez of Gibaro de Puerto Rico (2001+), Los Pleneros de la 21 (2002), J. Emanuel Dufrasne-Gonzalez and Nelie Lebron-Robles of Paracumbe (2002+), William Cepeda with AfroBoricua (2005), El Concilio Taino (2007+), Tico Fuentes (2007+), Los Tambores de Felix Alduen (2009), Tito Matos, Director of Viento de Agua (2011+), Raul Ayala y Los Hermanos Ayala (2012+), Orlando Laureano with Jovino Gonzalez (2013+), Jorge Emmanuelli Nater (2014), Ricky Villanueva (2015), including multiple projects with many of the above. She has taken workshops in folkloric drum making with Papo DelValle and Juan Fuentes (2004/2007). In addition to her ongoing training by Puerto Rican masters, Tekina-eirú studied a variety of classical dance forms in New York and Austin, including ballet and jazz; but her favorite memories were character dance performance roles with Austin Dance Ensemble (Arletta Howard-Logan). Her move to Texas in 1992 opened a new world of Mexican folkloric dance, where she trained with Roy Lozano, Chuy Chacon, Raymundo Guzman, and Jaime Guerrero (Monterrey, MX). Her past credits include mainstage performances on the Paramount and Zilker Hillside theatres with the Roy Lozano's Ballet Folklórico de Texas professional company (1993-1997). She co-choreographed and performed in the Cenzontle music video "La Bruja," dedicated to the folklore of Veracruz, Mexico (1998). Dr. Maynard was named the Austin YWCA Woman of the Year for Arts (2005), and was recognized for her contributions to the Taino community with Areito Award for Dance and Theatre (2009). Tekina-eirú is a choreographer and teacher of traditional dance, music, games, culture and history to preschool through professional adults. She is a multi-disciplinary performer and plays a variety of instruments including folkloric percussion, strings, and indigenous flutes. She began taking piano lessons at age 5, and in graduate-school studied classical piano with Russian concert pianist Natasha Snitkovsky. She learned folkloric percussion on barriles, panderos, and maraca with Bomba Patriarch Modesto Cepeda. At age 11 she taught herself to play guitar, and in 2013, decided to be true to herself and relearned to play -- as a lefty; she continues advancing with flamenco guitarist Isai Chacon (Director of A'lante Flamenco). Tekina-eirú enjoys composing indigenous music on Taino earth clay and bone flutes to the traditional rhythms of her Taino pueblo, and songs accompanied by guitar in mountain Jibaro-style fused with Taino language. She rarely leaves home without a ceremonial maraca. Thanks to her great mentor, Rupert Reyes, Director of Teatro Vivo, Tekina-eirú s has learned to move the stories in her heart to the stage. Since 2004, Tekina-eirú has enjoyed creating original, trilingual (English/Spanish/Taino) plays based in oral history. Featuring live music and dance, they bring preserve untold stories and honor unsung heroes. Her works have included: "Pirates of Puerto Rico (2004)", "Puerto Rico Ever After (2004)", "Puerto Rico Mi Patria (2005)", "Piragua Man (2006)", "Angelito Borincano (2007)", "The Journey Back (2008), "Pa Mi Gente (2009)", "500 Years (2010)", "Boricua Beisbol (2011)", Mami Boricua (2012), Boricua Spirit (2013), Expreso Pony de Boriken (2014), Mi Tierra Boricua (2015), Borinki Soy (2016), La Promesa Rebelde (2017), and her newest Borinquen Sana (2018). Beyond her cultural mission, Dr. Maynard is a Master Certified Spiritual Life Coach, and a credentialed ICF ACC (Associate Certified Coach) by the International Coach Federation. As an ICF certified Dreamworks Coach, Tekina-eiru coaches people in need of Personal Transformation, by helping them discover the important messages they receive through dreams. Tekina-eiru is passionate about helping Healthcare and Helping Professionals facing compassion fatigue and burnout -- before they burnout! Tekina-eirú is a consecrated Elder of El Concilio Taino Guatu Ma-cu A Boriken , a Taino pueblo in restoration based in the mountains of Cayey, Puerto Rico. She is a Tekina -- a Teacher of Taino traditions in the Americas, and a leader of ceremonial dance. Tekina-eirú will be forever greatful for the life-changing mentorship of the (Chief) Cacike Caciba Opil Veguilla in indigenous traditions. 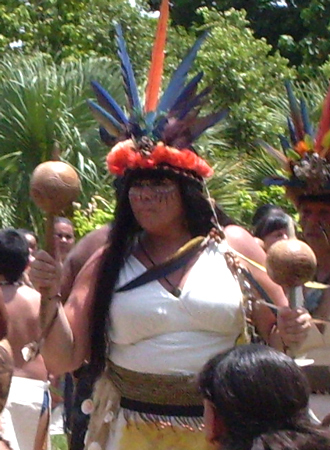 In 2008, Tekina-eirú 's Amerindian Mitochondrial DNA identifying her as Taino from Boriken (Puerto Rico) (Haplogroup A-1) was "confirmed" by Juan Carlos Martinez Cruzado, Professor of Genetics at the University of Puerto Rico-Mayaguez, and further identified that her family's Boriken origins were of the ancient peoples that predated the Tainos -- the Arcaicos (The Ancient Ones). The mtDNA results were of no great surprise to her Mom, who wondered what was the question. Dr. Maynard complements her formal and indigenous training with professional development in holistic, integrated health and healing, stress management, ecotherapy, and plant intelligence. 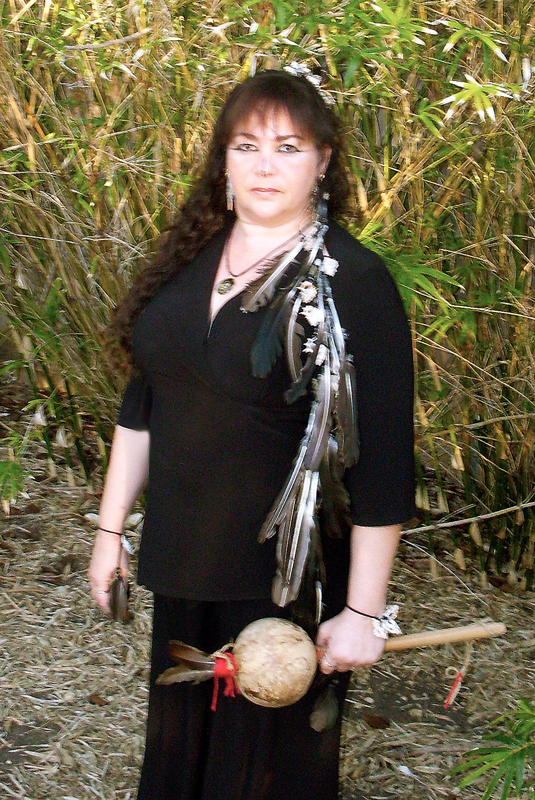 Tekina-eiru enjoys sharing Nature's timeless wisdom through her published book and interactive workshops based in Taino spirituality -- When Nature Sings: A Taino Journey. Her keynote talks and workshops combine nature-centric inspirational anecdotes, original photography, live Taino flute music, and original songs on guitar. Participation in music-making and role playing share insights, encourage meaningful discussion, and provide "tools" to take home that can be used in everyday life. Her workshops serve all ages and interests, and teach "Healers" -- from caregivers to licensed professionals (TX CEUs)-- a powerful way to renew themselves through a connection to Nature. These works were developed with support of the National Endowment for the Arts, Texas Commission on the Arts, Mid-America Arts Alliance, City of Austin Cultural Arts Division, and Humanities Texas with umbrella support from La Pena. Beyond her cultural and coaching credentials, Dr. Maynard is an innovator (11 patents) and holds a doctorate in Electrical and Computer Engineering from Carnegie Mellon University. Through her company, Flametree, she combines her 20 years of experience in the high-tech industry with over 20 years of executive leadership in the non-profit sector to deliver custom programs spanning her diverse range of expertise, including consulting to help nonprofits make breakthrough achievements. 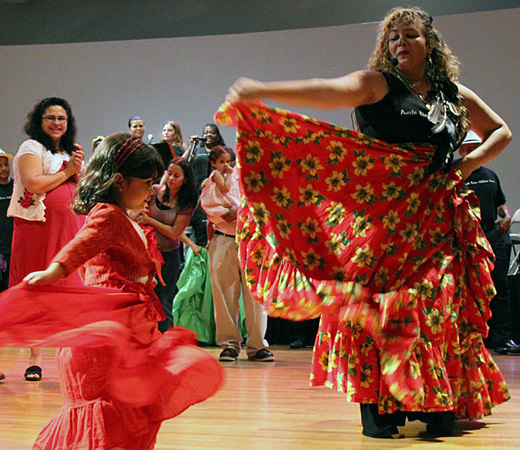 Her unique multidisciplinary expertise has inspired innovative ideas that use lively Puerto Rican traditional dance to teach engineering (STEAM). 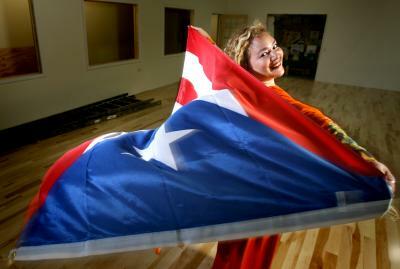 Puerto Rican music and dance has always been a very special part of Tekina-eirú's life. She is very proud to share the joy of rich traditions with her community, and hand down cultural heritage to the next generation!